With over 42 years’ combined experience of turning dreams into realities across the UK and Europe, Villiers know what they stand for and we were briefed to bring it to life. For us, this was a great opportunity to create something special, and so we threw everything at it! Starting on solid ground was essential so we carried out market research, competitor analysis, user persona development and brand positioning to make informed decisions regarding the brand identity and guidelines. We were involved in every aspect of the creation of the brand, including naming, identity design, messaging, website design, website development and digital marketing. From understanding the brand offering and positioning, we went to work on developing an elegant and dynamic identity that would in time, be synonymous with the brand. The identity needed to be high-end and contemporary but also unique to their market. 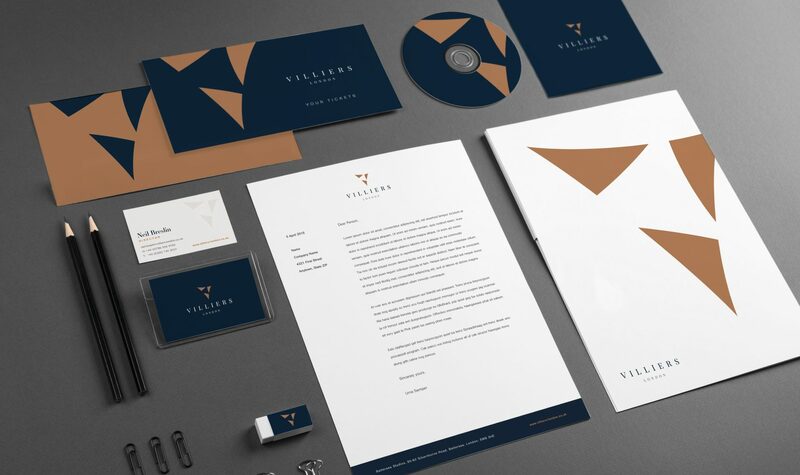 The new brand identity oozes class, elegance and sophistication. 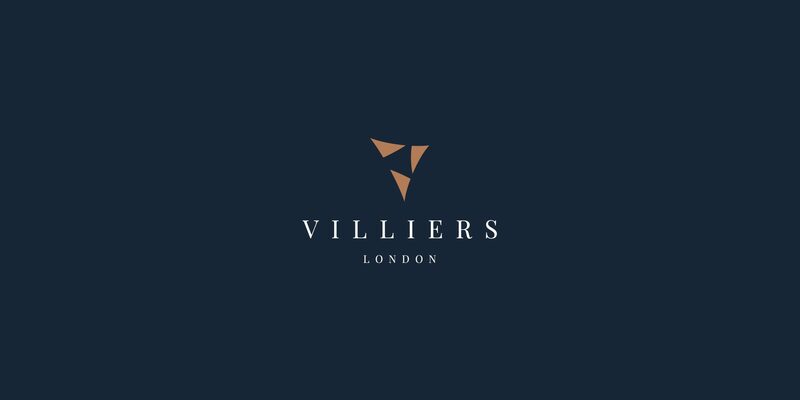 The dynamic mark symbolising the 3 core service offerings sitting above the classy logotype, all mixed with a moody blue and copper colour scheme are key to achieving this and positioning Villiers in the marketplace. After many meetings understanding the brand offering and getting to grips with what it means to work for Villiers and the culture of the company, a common phrase was heard a lot… ‘Anything is Possible’. 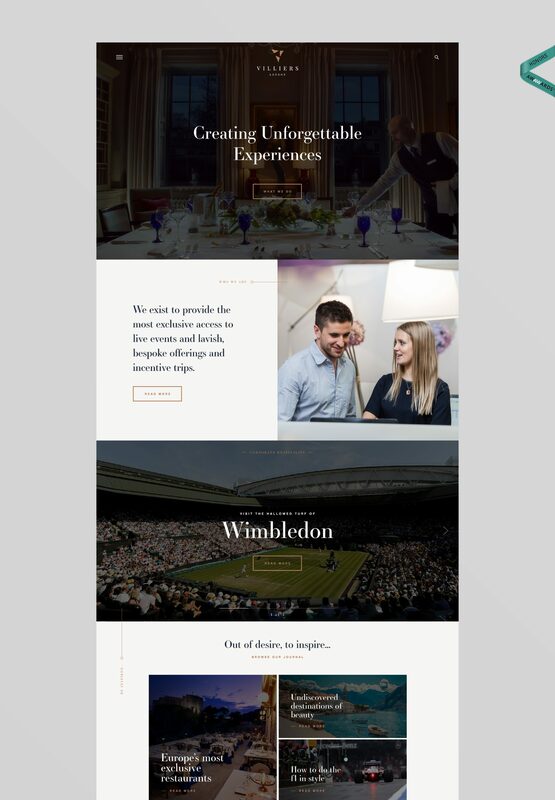 This really resonates with their target market and how they operate, they want the best experience possible and this is a great way of speaking to them to get enquiries through the new website. As a new brand to market, we also opted to use ‘Creating Unforgettable Experiences’ as a positioning statement across marketing collateral. This positions them perfectly as it gives enough information to grab your attention, but leaves you wanting to know more. Understanding the target audience in any website project is critical and in this case nothing has changed. The target market have a large expendable income and so they want the most lavish and exclusive service. From the early planning phases we understood that photography and copy were going to be extremely important in executing this. By introducing a journal section to the website, they have the ability to inspire their audience, as well as being able to rank for some keywords that research has indicated, could be a great way to attract visitors to the website. The planning of the project through wireframes gave us the structure in which we could plan content and design a visually stunning website.